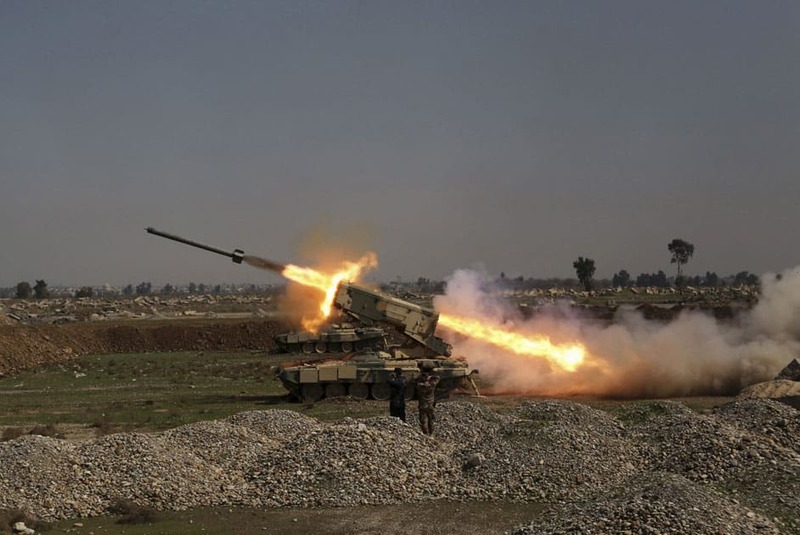 Iraqi security forces launch a rocket against Islamic State militants positions during clashes in the western side of Mosul, Iraq. 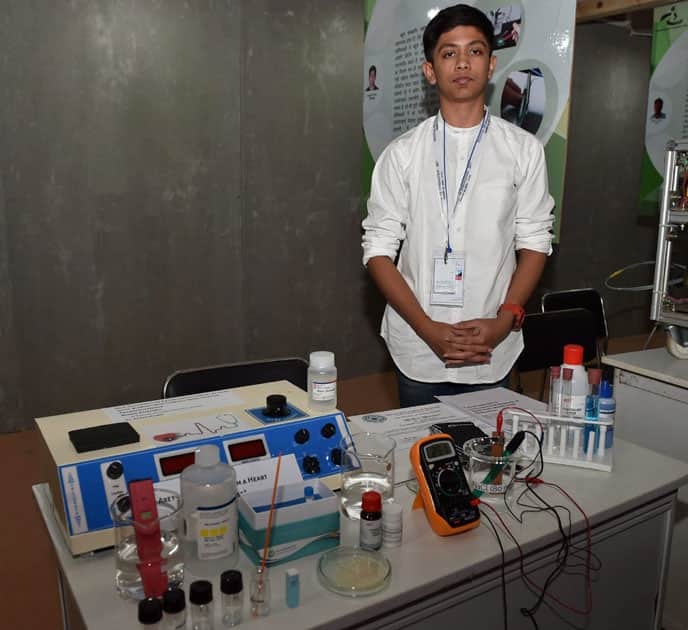 Akash Manoj with his prototype of non-invasive self diagnosis of silent heart attack during Innovation Exhibition at Rashtrapati Bhavan in New Delhi. 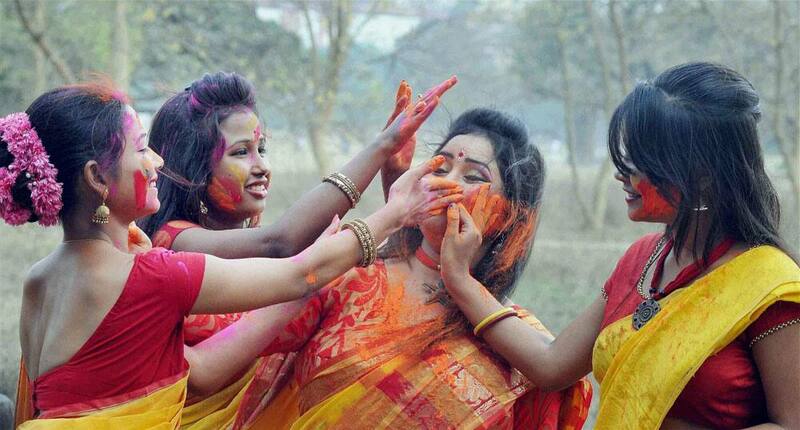 Students play with colours ahead of Holi at Kolkata Maidan. 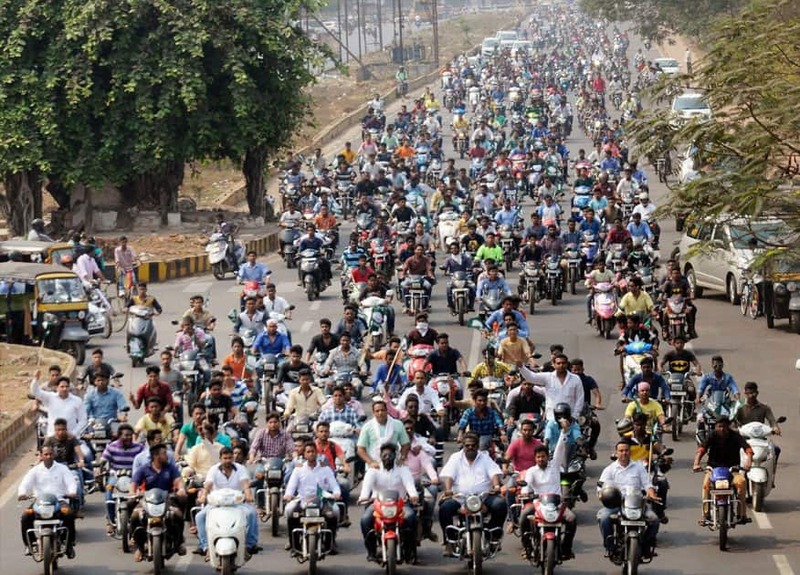 Biju Yuva Janata Dal members take out a motercycle procession from Biju Patnayak airport to BJD party office to mark the 101th birth anniversary of Biju Patnaik in Bhubaneswar. 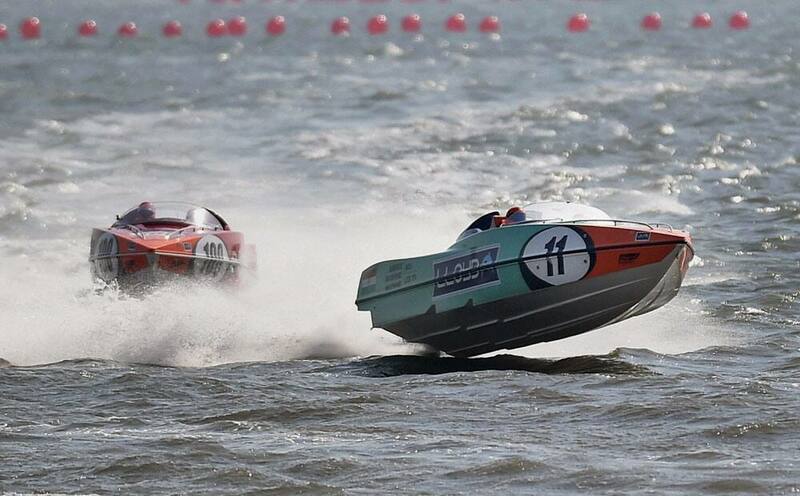 Teams compete during powerboat racing event at the Marine Drive in Mumbai. 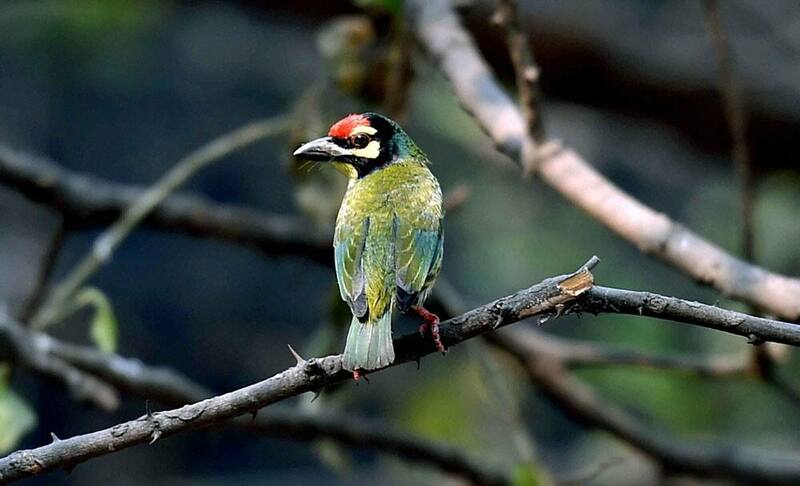 A Coppersmith Barbet bird (Well known as Basanta Bouri in West Bengal) on the branch of a tree in Kolkata. 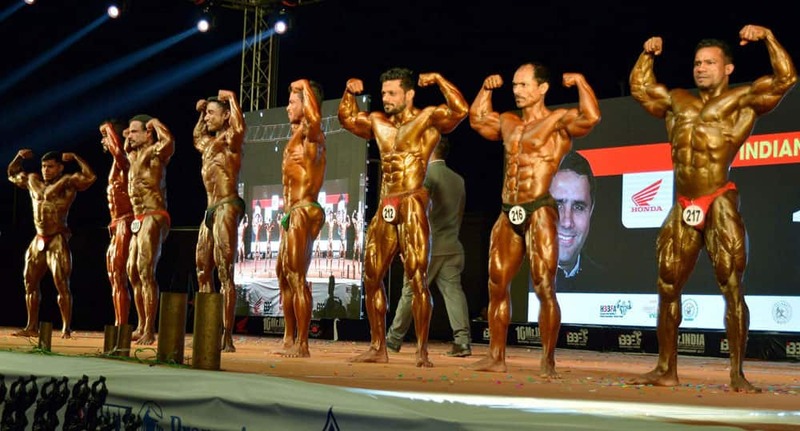 Body builders perform during 10th Mr. India Mens and 5th Womens Senior National Championship in Gurugram. 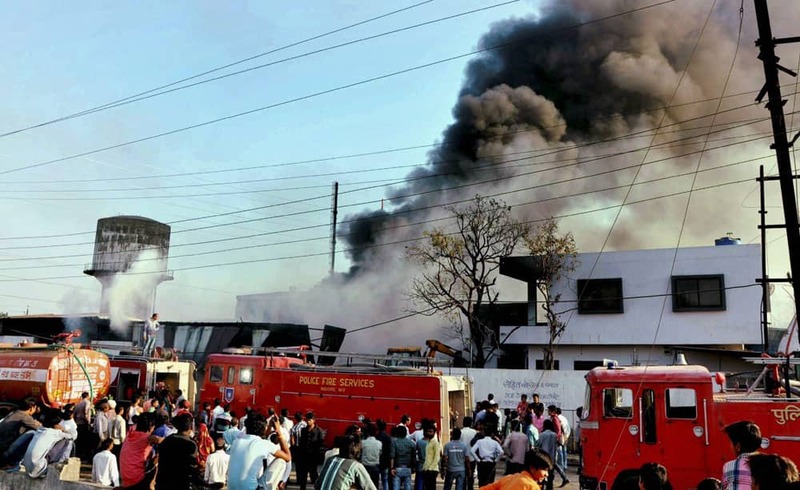 Smoke billows out after a massive fire broke out in a plastic factory in Indore, Madhya Pradesh. 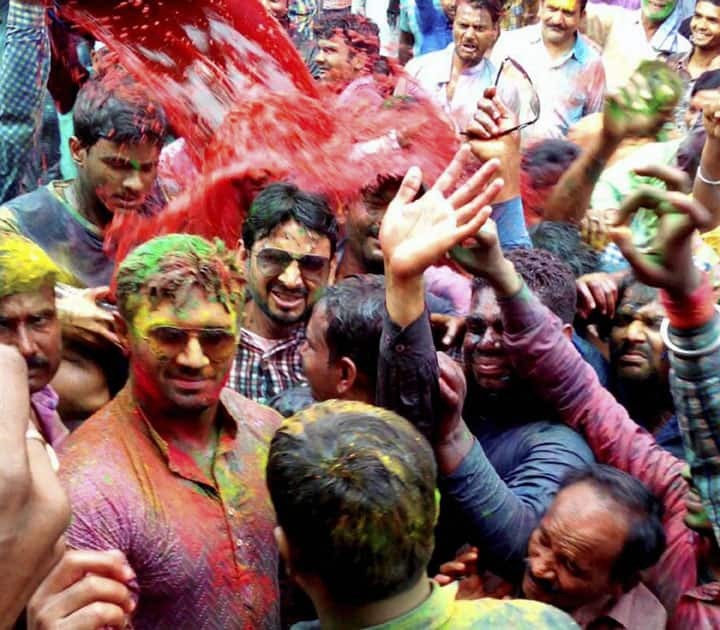 Lok Janshkti Party MP Chirag Paswan with supporters celebrate p-coming Holi festival in Jamui district of Bihar. 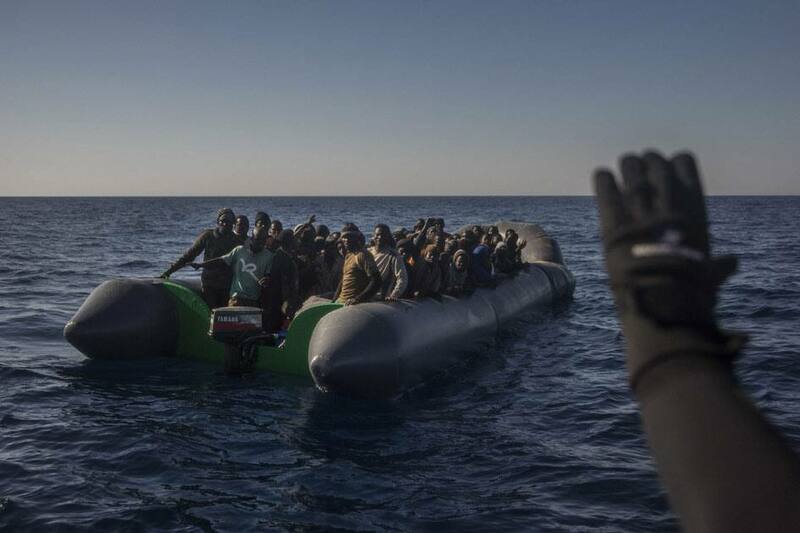 Members of the Spanish NGO Proactiva Open Arms assist refugees and migrants, from different African countries that left Libya aboard 2 overcrowded rubber boats, about 20 miles North of Sabratha, Libya.